Popular UK retailer GAME recently posted in their Twitter about an exciting new offer. 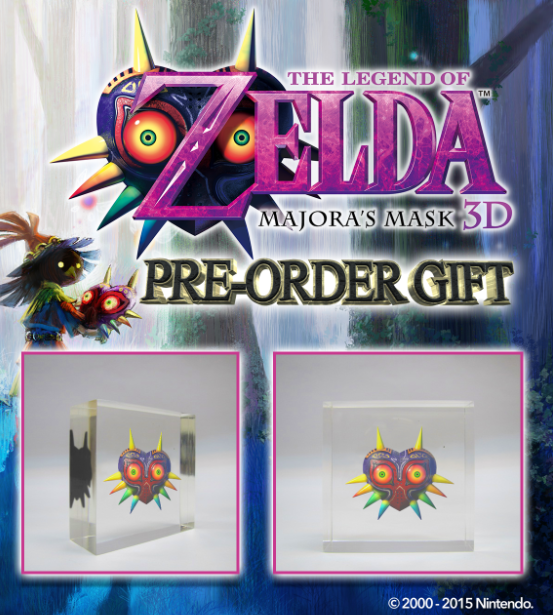 If you pre-order the standard version Majora’s Mask 3D though their company then you will also get a free paperweight featuring Majora’s Mask. 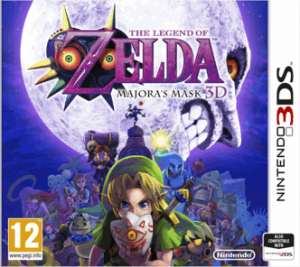 Preorder The Legend of Zelda: Majora’s Mask 3D Standard Edition and receive a bonus item with your order. Customers who preorder the Standard Edition of The Legend of Zelda: Majora’s Mask 3D with GAME will receive an exclusive bonus Majora’s Mask themed Paperweight with their copy of the game! Please note, this offer is not available for the Special Edition of the game. Everyone else always gets the fun stuff. Even when Ocarina of Time 3D came out everyone was getting replica ocarina bonus gifts. It’s not the most exciting thing I have seen given out as a pre-order bonus, I still like it a bit more than the standard posters most games get.